From the wonders of the Jurassic Coast to the mysterious, rugged moorlands, you and your dog will have plenty of exploring to do on a pet friendly cottage holiday in the North Yorkshire Moors. A paradise for both man and beast, the Yorkshire moors hold timeless appeal for walkers who yearn to be out in the great outdoors; with a plethora of dog friendly walking routes crisscrossing for miles across the uninhabited countryside. But what else can you and your pooch discover on your pet friendly cottage break in North Yorkshire? Let's find out! If you and your dewy nosed pal feel like getting wet on your dog friendly holiday, there's only one place for it: the North Sea Coast. This astounding stretch of craggy cliffs and pounding surf is interrupted only by the odd swath of soft sand or a traditional fishing village. For a truly spirit lifting walk with your canine companion, head to the North Cliffs above Whitby and Robin Hood's Bay. Boasting lush grasslands and extraordinary views, you your furry 'Fido' will relish a game of fetch atop this magnificent headland. Alternatively, take a walk around Whitby's cobbled streets, and treat yourself and your furry friend to a bag of chips and an ice cream- we're sure he'll thank you for it! Take a break from all the walking with a ride aboard the North Yorkshire Moors Steam Railway. Departing from the charming North Yorkshire town of Pickering, the service welcomes dogs for a small fee and is a great way for you and 'Scamp' to see the sights. Alternatively, seek out the area's rich heritage at historic attractions such as Castle Howard, Rosedale Abbey or Gisborough Priory, all of which allow dogs. With so much to do on a pet friendly cottage holiday in the North Yorkshire Moors, you and your pooch will be spoilt for choice on your next adventure! Choose your favourite pet friendly cottage today! 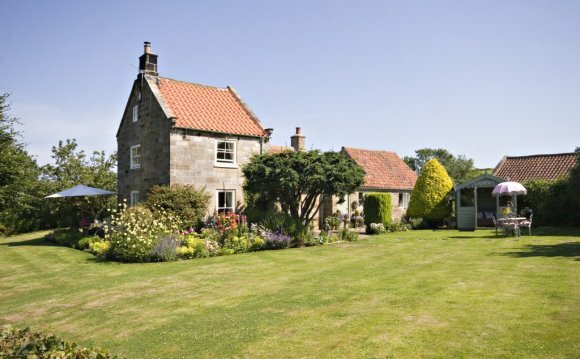 Please find below pet friendly holiday cottages in North York Moors and along the Yorkshire Coast.